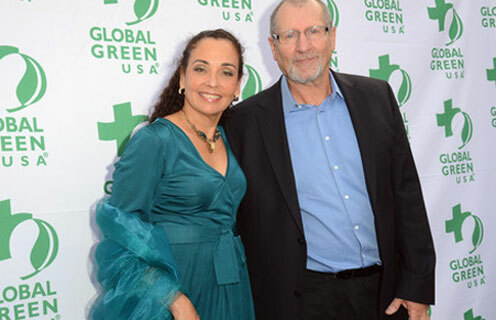 I am so pleased and excited to have attended the star studded Global Green 2012 Millennium Awards last Saturday night, and see my long-time clients, honorees Cathy and Ed O’Neill awarded Global Green’s Entertainment Environmental Leadership Award. After a hilarious video presented about the O’Neill’s during last night’s ceremony, Cathy gave special recognition to me along with several of her other favorite environmental organizations and companies during her speech! What a thrill! Thank you, Cathy and Ed, and congratulations! Ever since Cathy visited our home during a green house tour many years ago, I have been honored to consult to her on healthy home building and interior materials and indoor air quality.